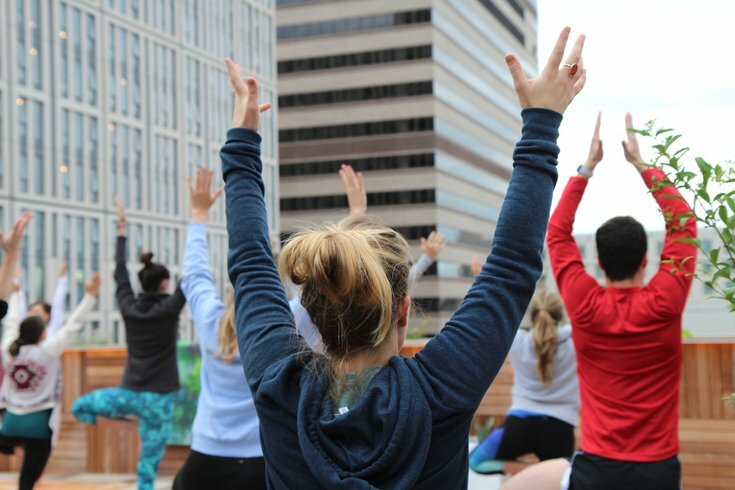 Join a rooftop yoga class on May 3. The Positivity Charge is hosting a rooftop yoga class at sunset on Thursday, May 3, and if you sweat it out, you'll be rewarded with Sweetgreen. Adriana Adele will lead a 45-minute class on the roof of The Yard: Midtown Village, a trendy co-working space, at 6:30 p.m. to kick off the fitness and wellness event. After the workout, Positivity Charge co-founder Parisha Smith will give a body-positive talk, detailing body confidence versus body obsession. To help participants refuel, Sweetgreen will provide everyone with a 16-ounce salad. And as a bonus, athletic clothing brand Athleta will be on-site with a special surprise for one lucky attendee. Tickets to the event are $35 per person. If you plan on attending with a friend, you can get a discount by signing up together. Then in June, The Positivity Charge will host another, bigger event for yogis. There will be a wellness retreat with workshops, workouts and motivational speakers. Attendees to the May 3 event will receive a discount code for retreat tickets.